Ahoj ! Learn Czech wherever you want; whenever you want Online Though Skype from our Experienced Native Tutors and increase your chances for friendship, love, business and travel. Czech is a west Slavic language spoken mainly in the Czech Republic where it enjoys official status. Czech which was earlier known by the name Bohemian is spoken by approximately 12 million native speakers’ world over. If you have an interest in the country and its culture and people them you must consider learning their language first. Czechs are generally a friendly folk, and you will certainly make some great new friends if you learn Czech. Learning Czech will help you understand other languages that belong to the family like Slovak, Polish and Russian. While you think of Czech Republic the first thing that crosses once mind is Prague- that magic destination of a tourist's itinerary. If you plan to travel to this beautiful destination, communication is certainly facilitated if you can speak the local language. Pretty much every Czech person you meet will speak English, but the locals will appreciate your effort to speak their native language and also you will get some special services for your try. Less English is spoken outside the tourist areas. Even the timetables and announcements regarding changes in time of public transports are usually in Czech only. Also there is no better way to connect with the people than to speak their native language. Czech knowledge will enable you to access some great work of literature by well-known authors like Milan Kundera and Franz Kafka. Higher education holds a special significance in Czech society. 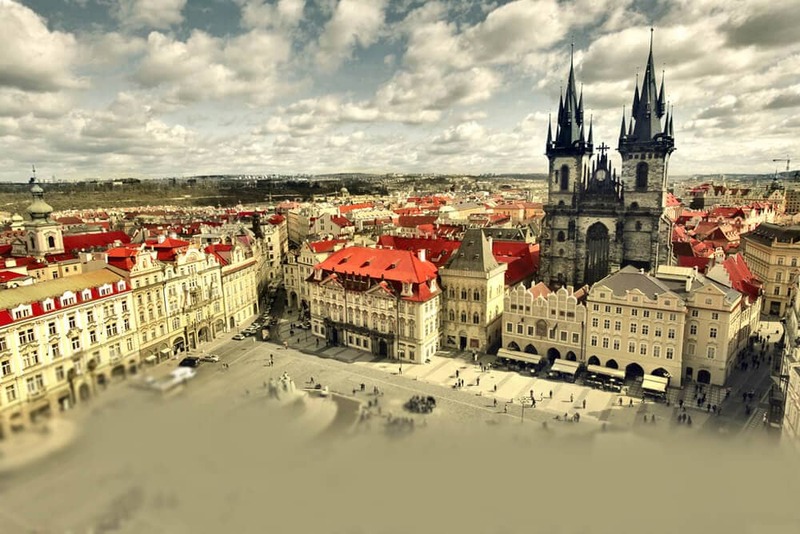 The Czech Republic is home to seventy public and private academic institutions of higher education. So if you have plans for higher studies in Czech Republic, then it is good idea to learn the local language. Learn Czech Online at a time that works best for you through Skype from our Native Tutors to teach your children Czech or expand your business or land a new job or just to challenge yourself! Czech is considered a difficult language just like other Slavic languages. This is mainly because of the complex grammatical rules and consonant clusters present in the language. Czech uses the Latin alphabet, with added accents and symbols. If you are living in the Czech Republic, you may reach a decent standard by just being there. And it will be easier if you have Czech friends, colleagues or even a Czech partner. For others, a textbook is probably the best way to learn the basics. Another best way to learn Czech is to join an online course and learn the language from a native professional tutor. Our online platform allows you to learn the language at your own pace as we provide one-to-one lessons that are customised according to your learning needs. Also you have complete flexibility to schedule your lessons at a time and place that suits best your lifestyle. So join our online language learning course and learn Czech in an easy, efficient and effective way. You can now take Czech classes one-to-one using Skype with a tutor of your choice. Our Czech lessons are custom, effective, comfortable, and fun. Pick a tutor NOW! Choose anything specific. Whether it is conversational Czech classes, business Czech lessons or just learning how to greet and impress a loved one. We can help you with them all.